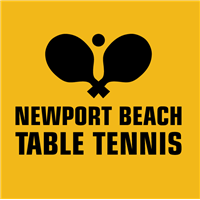 Situated in the idyllic beach city of Newport Beach, the Newport Beach Table Tennis Club offers classes and workshops for players of all ages and levels looking to blend entertainment with exercise. Located less than 1 mile from Fashion Island and 6 miles from John Wayne Airport, the Newport Beach Table Tennis Club is easily accessible for those living and working in the Orange County area. With top of the line equipment, an indoor café, a barber shop and massage spa, the Newport Beach Table Tennis Club has everything you need to keep your body and mind in peak performance. Excellent experience - working with Ron and learning the game of table tennis (not ping pong!). Totally recommend him as an instructor for "all ages". The Athletic Club is also a fine facility. JM. Ron is an amazing teacher and a great guy, too! Really, really fun, and a surprisingly good workout. Couldn't recommend him more! Newport Beach Table Tennis Club has a wonderful location with quality equipment and plenty of room for practice or to play. The lessons are improving my game which is most obvious when I play friends who aren't taking the lessons. Ron is a great player and coach. He pushes us but is also patient which helps. Getting that little white ball to do what you want is not easy but Ron is great at mixing learning drills with game play to help get it right. The lessons are also a terrific workout; at the end of a lesson I feel like I have just ended a session at the gym but this is way more fun than trendmills or swimming laps. The Wednesday night tournament is also fun and has had a really good turnout, players of all levels compete with a cool handicapping system Ron put in place. Best compliment I could give is that I have referred over a few friends who now also take lessons with Ron. My group class at Newport Beach Table Tennis greatly exceeded my expectations. By the end of the session I had a completely different concept of how to play the game, a big smile on my face from having so much fun and a sweaty t-shirt. What more could you ask for? I came to NewportBeach Table Tennis club not played ping pong really since 8th grade and had a tounament in my company of 400 people.61 people signed up.I started practising with Ron the young coach and within a short period started climbing the ranks in the tounament.Practised for about 4 months and in the Advanced Section made it up to the Finals with the entire company watching me play.Though I Won the RunnersUP trophy.It was no mean Achievement.Speaks what a good club and a good coach and a former Champion like Ron can do for you.The toughest part is "Stay the Course".Pot of Gold at the end of the rainbow.More importantly HAVE FUN.